We specialise in Scandinavian influenced high-end residential interiors. Our team is highly passionate and creative, offering customised service and expertise to all of our clients. We place great pride in our ability to listen to our clients, overseeing your design from concept to completion and above all, making things work. Ciara's ethos is to bring out the best in any design, to highlight its assets and mitigate its short comings, to create interiors that function seamlessly and feel great to be in. Kennard Gornall develops a collaborative rapport with their clients to achieve creative yet timeless design solutions. Our designs compliment the clients lifestyle and their personalities. Multi-award winning Interior designer with over 25 years experience. I passionate about design and understand that every client is unique and create spaces that are visually beautiful. I love working with clients on the creation of a space which reflects their true personality and how they wish to live their life - your home is your castle. I look forward to creating with you! For all projects, we help you create a tailored & practical living space that suits your lifestyle & budget. Whether you want to give your home a facelift or total revamp, we will deliver the vision. With over 15 years of experience in residential design, Annie brings a considered approach to interiors which merges with the clients' vision, creating beautiful & welcoming spaces. If you’re building a new home, renovating, preparing for sale or just want a fresh new look, we can help you create beautiful interiors and outdoor spaces. We take a considered approach to interior design with every project undertaken, creating truly beautiful and unique spaces for you to work, live, play and grow. 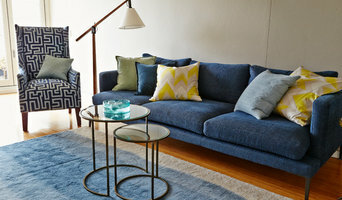 A collection of high quality solid timber furniture is unique in character, affordable and made to suit the Australian lifestyle. Rustic or contemporary, the style is fresh with a coastal influence. At Denby Dowling Interiors, our designs are timeless & include quality furnishings that can be enjoyed for decades to come. Each space blends the needs & wants of each client + Denby's design flair. Victoria and her team work closely with homeowners, architects + builders, creating practical and inspiring interiors. Each project is meticulously designed and project managed to completion. I'm here to create your home that is a direct reflection of you, your family and the way you want to live. 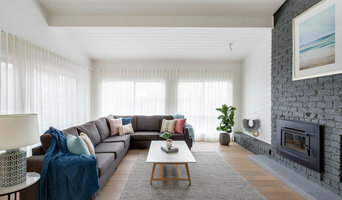 Houzz Influencer and Best of Houzz Service 2018 winner. We invite you to call into our new showroom at 52 Ourimbah Road, Mosman NSW. Our designers and decorators are on hand to ensure your decorating project is all that you imagined. My design philosophy is based on the principles of innovation, creativity & timelessness, all while working within my clients individual needs. 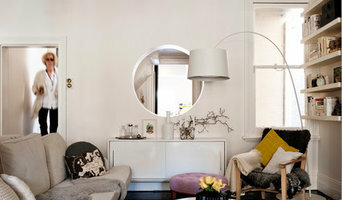 Modern Sydney design studio creating simple and easy living spaces with a minimal aesthetic. Merging creativity and innovation to produce beautiful, habitable and practical spaces. Designer, Lisa Burdus, focuses on full-service residential projects. Each design stretches parameters for those who favour a classic style with meticulous detailing and spatial planning.